I wanted to let you know that we had an incident on one of our buses this morning. At approximately 7:10 a.m., a high school student got off the bus and notified an adult that he had heard a middle school student mention that he was in possession of a pistol. The adult at the high school immediately contacted our school resource officer and the middle school principal. The bus was secured at the middle school and the student who made the comments was immediately located and was searched and questioned by police and school administrators. The student was not in possession of any type of weapon, and there was no direct or implied threat made. There are plenty of people who did their "jobs" this morning. First, students heard something and said something. Second, our School Resource Officer and principal reacted quickly, and exactly how they are trained to react. Third, the bus driver was exceptional in keeping things as normal as possible. While this ended up being unfounded, it is important for you to know as parents and community members that we react to anything we hear immediately and with the greatest care possible. If you have any questions please feel free to contact me at 315-487-4562. Another fantastic week in the books. Hard to believe that we are already three weeks into school. A sincere thank you to everyone who attended our open houses the past couple of weeks. Making and keeping connections with school is really important as we help our children navigate school and life! Great Weather for Events: When my kids were still in school they ran track, played soccer for a period of time, and played basketball. I was at a soccer game the other night at the high school reminiscing about watching them play in the cold, rain, and even a few snowflakes one year. That night I was in shorts and a tee shirt! If you are a parent with a child in Marching Band or a sport, count your blessings these past couple of weeks. From what I can tell, we might even have one more nice week ahead before who knows what happens. 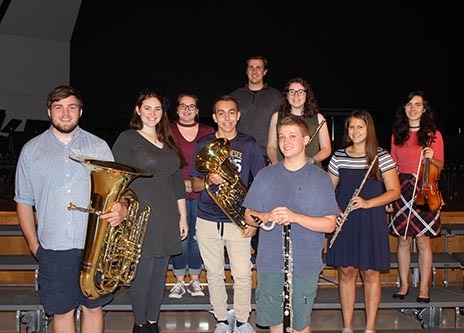 Musicians Selected for All-State Concerts: We received word last week that several of our students will be performing at the All-State Conference. Being selected for these concerts means that you are at the top of your game. Imagine being at the top of your game, in high school; at anything. Next steps for some of these students may be professional music or even Broadway, as some of their predecessors have done. For now, we will enjoy their talents at our upcoming concerts and we wish them the very best! For more information about this honor click here. 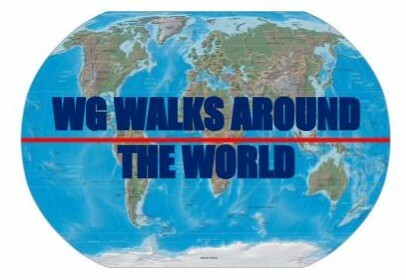 Wellness is Important: At the beginning of the school year we established a wellness goal for all of our employees and Board of Education members to step around the world. How many steps is that? About 65 million. It has been fun to watch people get in a few extra steps at lunchtime or to hear where they are walking or running to help them accomplish our goal. As of this past Friday we are about 12,178,026 steps into our endeavor, and as people input their steps into a website we have, they can see how far we have made it around the world. It has been a great team building exercise that also focuses on wellness. We have also been working with the American Heart Association to create a Phase II to this goal of including another initiative where students and employees will work together for wellness. I will certainly keep you posted. Sports in the South-A Different World: While it was warm here over the weekend, I can assure you that it was warmer in New Orleans, Louisiana, where I was over the weekend. I was down there for the Syracuse/LSU football game in Baton Rouge. I have been in the Carrier Dome when it was sold out for football back in the 1980's. That didn't hold a candle to watching over 75,000 fans support their teams. Pretty crazy. The people on the way to and at the game were incredibly friendly and they really made us feel right at home. If you are a sports fan, I would suggest attending a college football game under the lights in the south. It is a totally different world. Homecoming is this Week: Speaking of games under the lights, please accept this as my personal invitation to attend our Homecoming Football game this Friday at 6:00 p.m. on the turf field. Homecoming is something we enjoy and celebrate, and we would certainly like to share the fun with all of you and your children. If you came to the football game on Friday night, it was much appreciated. The stands were packed, as it was Pop Warner night, Marching Band half-time show, a big showing by the cheerleaders, and the actual football game; of course! While the team did not end up in the win column, there was an abundance of school spirit. Also, the Wildcat Nation had a beach theme, which was appropriate because it was a very warm night. I don't want you to think we are sleeping on cross country, soccer, volleyball, or golf. Look for a cool collage for them in the very near future! The School Year has Taken Off: I often teach new administrators that a school year is like taking an airplane flight. The beginning of the year is like racing down the runway and pulling up off of the tarmac. By end of the first week, it is the equivalent of wheels up and the "big climb" to the clouds. Much like flying in a plane, this time of the year is when turbulence can be hit. For us, that usually comes in the form of getting the school bus routes and school dismissals to be as smooth as possible, and getting all of the students into a routine. This week begins week three. At this point in a flight, the plane is headed into the clouds before leveling off for the rest of the flight until it is time to think about landing. We are headed to cruising altitude in great shape! Being Positive: Our elementary and middle school students are beginning a new character education initiative called the Positivity Project. The overall theme of the project is to teach children that other people matter. In just two short weeks of the program (which is free to schools), I have already seen a difference. We have GREAT kids, believe me; I interact with them every day. What I am already witnessing are children who are genuinely interested in knowing about their classmates. That is huge. It establishes respect for one another and pays huge dividends now and down the road in being empathetic and caring; which reduces bullying and discipline issues. I have not seen a program that has really reached children like this. I know that parents were told about the program at open houses, etc. 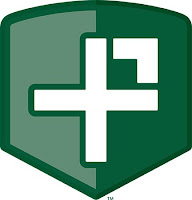 but here is a link to more information (https://posproject.org/). The program does not scale to the high school quite as well as K-8. We are therefore working with the makeup of each grade level 9-12 and targeting assemblies and programs that are specific to each class, and then the opportunities that are being given to ALL students in grades 9-12. This is one of those areas where being here for a while really pays off. I know the students in the high school better than any teacher or administrator, and I do not want to waste time on things they don't need. We have identified themes such as self-worth, making good choices, how to have appropriate and positive relationships with peers, cyber bullying, suicide prevention, substance abuse, how to use your talents to your benefit, and how to care about others. If you have a freshman student, ask them how their speaker, Cam F Awesome was last week for example. He was FANTASTIC. Community Support: In my travels over the weekend, I ran into George and Rose Surace? Why would I write about them? They have supported West Genesee academics, athletics, and fine arts for decades. They also celebrated their 56th wedding anniversary over the weekend. There is something to be said about them; they were helping out the school when the Wildcat Nation was just a Wildcat Village! Golfing to Support our Boosters: Yesterday, our Board of Education President, Bobbie Herron, and Vice President, Shawn Mitchell, as well as our Assistant Superintendent for Management Services, Paul Pelton, and I played in the West Genesee Sports Boosters Tournament that was held at Westvale Golf Course. All was very normal through most of the round until all you heard was deafening yelling from across the course. It turns out that high school Social Studies teacher Eric Burns got a hole in one on the sixteenth hole! Congratulations to Mr. Burns and congratulations to the boosters, who raised some good money for great athletic causes. A Solid First Week: I want to personally thank all of you for a very solid first week of school. You were very patient while we got bus runs under control, no one passed a stopped school bus with it's red flashers on, many of you attended the open houses that we had last week, and you sent your children to school with positive attitudes. I cannot ask for much more than that. What I can return to you are some great pictures from the first few days of school in the short video above. Contrary to popular belief, most students want to be back at school. It is where their friends are, there are clubs, events, and activities to participate in; and the feeling in the buildings is just so positive that everyone wants to be a part of it. What about our kindergartners? They have never been to school, don't know anyone, and are leaving home for the first time. By and large, they had a great week. I did see a few tears on opening day (both students and adults) which is completely normal, but by Friday it was as if they had been here a month already! Each year I go to every classroom to say hello, and to find out if we have any new students and where they are from. The winners of the "came the farthest distance" award are a brother and sister who have relocated here from Puerto Rico! We also had a set of triplets start Kindergarten with us. How cool is that? I am trying to figure out how to get a "GoPro" or some other camera for a day so you can see what I see when I visit the schools. The sights and sounds are awesome, fun, and powerful. By the end of the week, I hope to have all of our systems running as they will for the rest of the school year. We are then "off to the races" as I like to say. 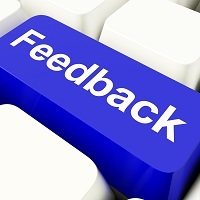 Feedback is Important: This is my tenth year as your superintendent, and while I can point to statistic after statistic to measure our success, I think it is equally important to get your feedback. I have always felt that it is quite arrogant for long-term leaders to just assume that because they are "still there" after a bunch of years, that there is no room for improvement. I want to know from you what we are doing well, and maybe some areas where you think we can improve. I also want you to feel free to comment without thinking that I am going to know what you wrote. To that end, we have contracted with an organization called Thought Exchange, and they are going to help us through a feedback cycle a little later this fall. I will be sure to give you all of the directions when the time comes, but I would appreciate your honest and complete feedback. It's the only way we (and I) get better, and I want to be assured that my next ten years are as good as the first ten. Thank you in advance. 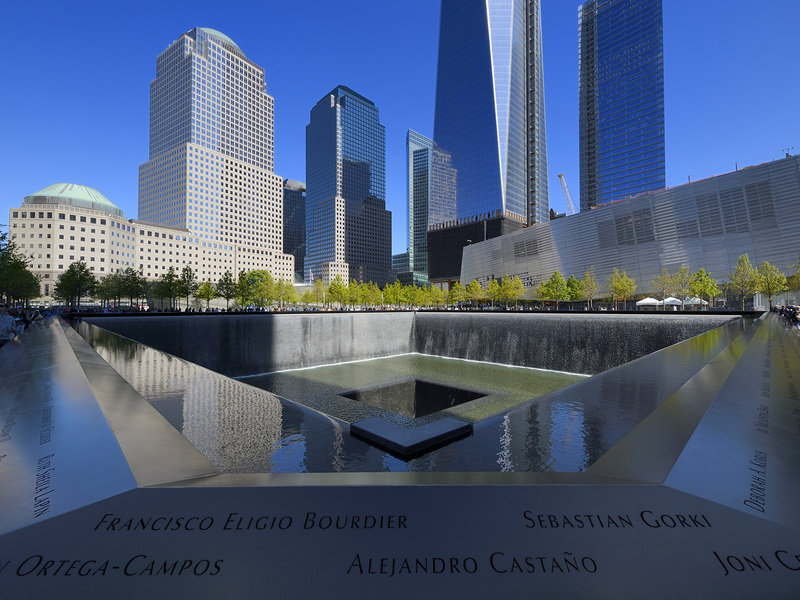 A Time of Reflection: Today is September 11. Most of our students were not alive in 2001, but we certainly were; and many of us were old enough to experience a wide range of emotions that day. Some of us know people who died. Take a moment today to reflect and appreciate life. On that awful day, 2,977 people had no idea they would be waking up for the last time. 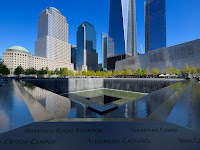 The victims, their families, and the heroes who tried to save them deserve a moment of our undivided attention. Well, I certainly made the most of Labor Day weekend, and I hope you did as well. The post New York State Fair diet starts today! A Great Day at the Dome: I had a great Saturday morning and early afternoon watching our football team come from behind to win their first game in quite a while. What made it extra special was that the game was at the Carrier Dome, and our cheerleaders did a great job supporting the fans and the team. Icing on the cake was watching the marching band at half-time. It made me very excited to get students back to school and back to a regular routine. I am not a fan of how much the Carrier Dome charges for high school sports, so I am extra appreciative of the large crowd that was on hand. Thank you. School Starts this Week: Students will be arriving tomorrow so it is that time of the year for me to remind you to be careful on the streets. Please be on the lookout for school buses, student drivers, and student walkers; as well as yourselves. Give yourself an extra minute or two to get yourselves back into a routine this week. There was construction in many areas of the District over the summer, and I am sure with that construction came changes to traffic light patterns and traffic flow in general. By next week we will have everything figured out, and we will be off to the races. Thanks for your support, I am looking forward to the upcoming school year; see you around!